$200. Test your aim. 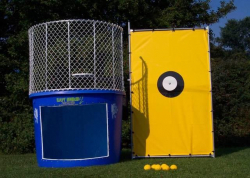 Can you dunk your friend, teacher, principal, or parents? This holds 500 gallons of water. Customer supplies water and hose. 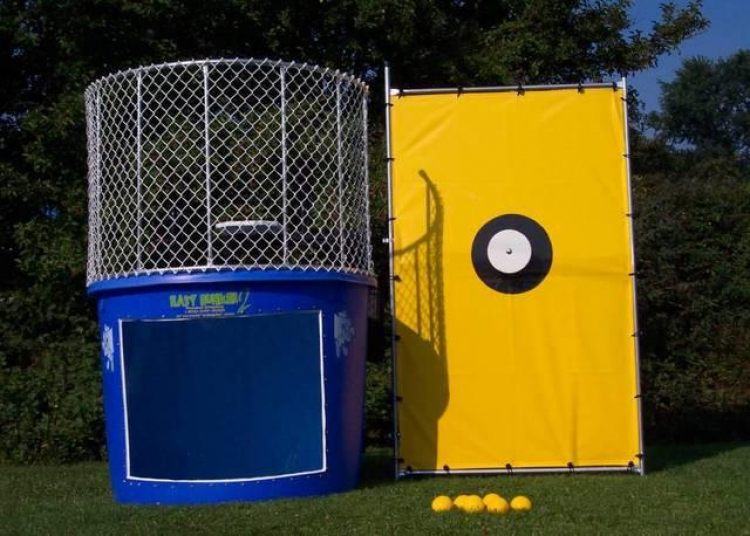 Takes approximately 1 hour to fill with garden hose. Keep ALL children, non swimmers, anyone under 5' tall or over 250 lbs. out of tank. Can be delivered (delivery fee to be applied) or can be customer pick up with 2" trailer ball needed.